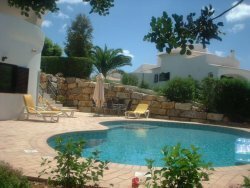 Three bedroomed villa with first floor sun terrace, 2 bathrooms, Large Lounge/Dining Room and fully fitted & equiped kitchen. 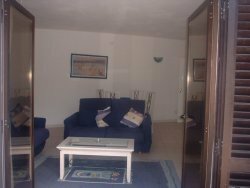 Self-contained one bedroomed apartment with large lounge and kitchen - the villa can be rented without the apartment. 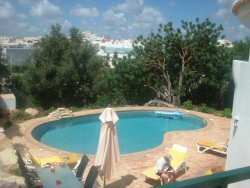 Private Pool with bubble seat & poolside shower & WC. 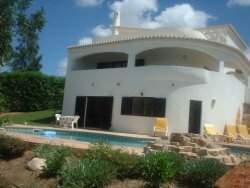 This villa is on a 5* complex which has indoor & outdoor swimming pools a gymnasium, snooker & table tennis, pitch & putt facilities. 24 hour Reception. Restaurant on complex.